Most Pennsylvanians never know about these types of malfunctions. In fact, if it were not for the AP story, you might not have heard about this leak in part because DTE Energy – the out-of-state energy company that owns the facility – failed to immediately notify the Susquehanna County Emergency Management Agency. Instead, they waited over a week to report the problem to the county and downplayed the magnitude of the episode, referring to it as a merely a “minor” leak. This isn’t the first time a DTE compressor station has had a major blow out. And the company’s failure to properly respond runs counter to consistent claims made by some companies and their lobbyists that the industry is doing everything they can to keep emissions down. Incidents like this are a clear indication that some companies prioritize business interests over direct risk to public health and the environment. Fortunately no one was injured in the event, though there seems to be a pattern developing here, one that should be alarming to approximately 1.5 million Pennsylvanians that live within half a mile of an oil or gas facility. This episode proves the industry cannot be trusted to self-police, and that Pennsylvania officials should develop oversight procedures to prevent these type of incidents. Governor Wolf proposed to do just that in his plan to cut methane emissions from the oil and gas industry, but he appears to be undermining his own commitments. 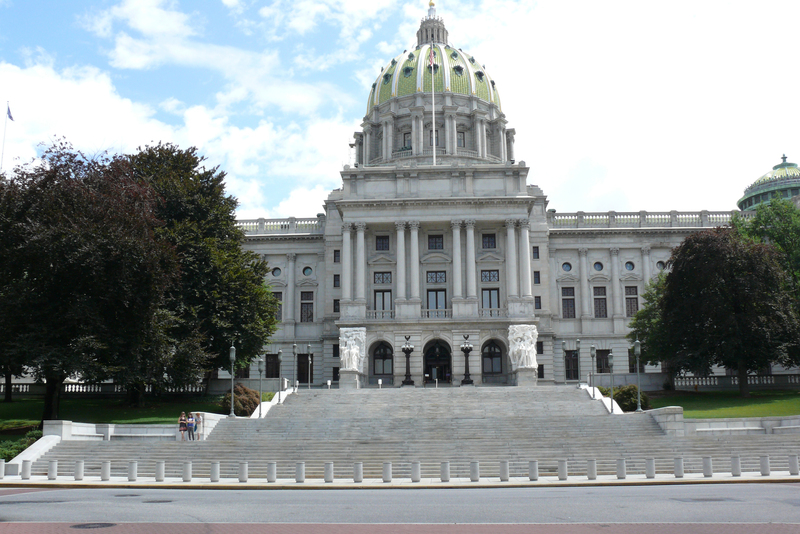 A budget bill passed by the Senate — and supported by the governor — is larded with bad provisions that create huge environmental loopholes for the oil and gas industry and put Pennsylvanians communities at risk. The most problematic policy in the bill is a provision that would allow a private committee to approve oil and gas permits – taking power away from the state and giving it to political appointees, many of whom are hand-picked by oil and gas companies. The DTE gas leak proves that Pennsylvania needs to hold the worst industry actors accountable by implementing strong controls that reduce methane emissions. Companies should be required to check their facilities regularly for harmful gas leaks and they should be required to quickly address them and report them to the appropriate authorities. Since 2012, sloppy operations at Pennsylvania gas sites have resulted in more than 2.7 million tons of methane and other harmful pollutants being pumped into the air. If the bad environmental loopholes in the current state budget become law, that number will get even bigger and we will possibly see more incidents like this one. This entry was posted in Air Quality, Methane, Natural Gas, Pennsylvania. Bookmark the permalink. Both comments and trackbacks are currently closed.